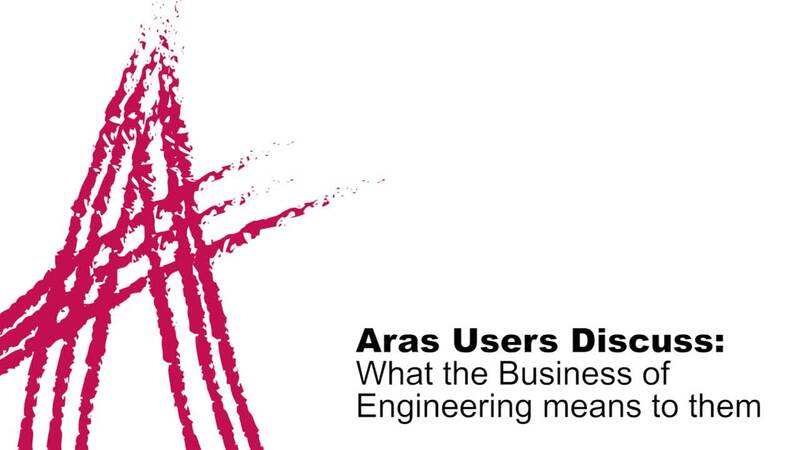 Hear from Aras users as they discuss the Business of Engineering and what it means for visibility, traceability and the impact it will have on your company. Si vous n'arrivez pas à visionner la vidéo, cliquez ici. Microsoft and the .NET Logo are trademarks, or registered trademarks of Microsoft Corporation in the United States and/or other countries. Product and service names mentioned herein are the trademarks of their respective owners. Copyright © 2019 Aras. All Rights Reserved.